Set in the fictional World of Rynaga, Iconica blends turn-based strategy with a twist of chance for a unique card game experience that's easy to learn, but a challenge to master. Start by choosing your cards. Choose wisely, as each character comes with it's own set of strengths and weaknesses. There are several card types such as Defensive, Offensive, Adaptive, Disruptive and Supportive. Once you've chosen the cards that will make up your hand, it's time to face off against your opponent. Dice rolls may add an element of chance, but each turn presents you with strategic options that represent the core of Iconica's gameplay. Other elements such as Final Acts, make for exciting game events and can be the difference between victory and defeat. More than anything Iconica had to be easy to learn and just plain fun. Well, after lots of testing, I think we got it right. Iconica is pure indie gaming goodness, no additives, or preservatives. What are some features of Iconica? What's the object of Iconica? The object of the game is to eliminate all of your opponents Character Cards from play. Winning the game is accomplished by dealing damage to a character’s Health Meter. Once a character’s health is exhausted, it is eliminated from play. Is Iconica just another collectible card game or trading card game? Nope. While the game is card based, each Character Card is unique and comes with its own set of skills, weaknesses, and strengths. Each card has its own personality, motive, and story. There are no "grunt" or "fodder" cards. Other collectible and trading card games force you to expand your game blindly, which often results in wasted money as players end up with many duplicate cards. Blind purchases are not a bad thing in all cases. I plan to offer some specific cards as surprises, included as part of other product promotions. How and when are Iconica cards released? How many people can play Iconica at once? According the our official rules, 2 players or 4 players. 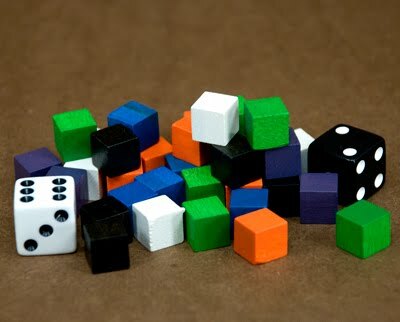 However, Iconica has been created to be a "scalable game." So, in theory, you could try a 6 or 8 player contest as well, with each player using 3 or 5 cards each. Now that's epic! What comes in the Iconica Starter Set? Six Character Cards, dice, game markers, a rule sheet and an Iconica quick reference card. Everything you need to start a two player game. How much do individual Iconica cards cost? Each card expands your game. Prices range from 1 to 5 dollars per card. It depends on what kind of card is being purchased, such as a Rare card compared to a Common card. What types of Iconica cards are there? 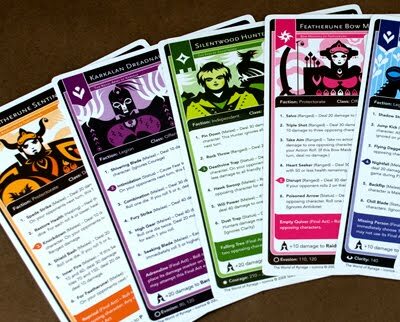 There are five character card Types in Iconica. (1) Common characters are frequently found within their faction. (2) Uncommon characters are harder to find within their faction. (3) Rare characters make up a limited group within their faction. (4) Legend characters are based on the fictional heroes of Rynaga. They are exceptional within their faction. (5) Special characters are, well... let’s just say when you see a Special character available, get it fast! actions. (4) Adaptive maintains a balanced range of performance. The Iconica rules have additional information about how cards are structured. How long will you be creating new content for Iconica? As long as I have the privilege of being alive, I'm committed to creating new content. Right now, I have more than five years of Iconica content developed, yet the potential is limitless. As the collection of characters grows, Iconica's rules will remain the same. However, options will increase for enriching the game experience. Iconica is independently created (and funded) by Eric Torres here in Phoenix, Arizona. Ok, I want a copy of the game!